This meeting was called so that residents in Noel Park Ward could meet and question the people who had put themselves forward to represent our neighbourhood on Haringey council, and so that the candidates who are seeking our vote could hear our concerns. Our ward will elect three representatives on 3 May as councillors. Dawn Barnes (Lib Dem) and Suraj Bhanot (Conservative ) attended in order to represent their parties. Dawn Barnes named the 3 Lib Dem candidates who are standing but were unavailable this evening. 32 residents attended the meeting. Traffic on Hornsey Park Road. We asked for a commitment to give it equal status with Mary Neuner Road in terms of traffic. Residents are tired of hearing promises of future improvements while air pollution, accidents, damage and noise worsen. Wood Green Area Action Plan. We asked for a commitment to put residents as a priority over incentives for developers. Residents of Caxton Road and Mayes Road have succeeded in having their streets no longer listed as available for demolition but tenants of Sky City and Page High are still anxious about losing their homes. Moselle River. We asked for a commitment to bring this to the surface in the Heartlands Development. This is in line with council policy but has not been pursued by the officers. £30 million will be paid to Haringey by the Heartlands Developers as Community Investment Levy. However this money is available to Haringey without restriction and does not have to be used locally. We asked for a commitment for environmental improvements here. Anti- Social Behaviour. We asked for a commitment that Civil Enforcement Officers address public urinating, littering, dumping and other unpleasant behaviour that makes our streets feel unsafe. At present they effectively only write out parking tickets. Following a question from the audience a lively discussion took place about the massive cuts to youth services and lack of provision for young people. Ryan Burton King shared the meeting, All three Labour candidates and a Green candidate were present. The Lib Dems and Conservatives were represented by local residents. All the panel members contributed fully to addressing all the questions and the discussion was animated both among the panel and with the audience. The main response to the issues from the panel members was a promise to listen to the views of the electorate. The Labour candidates admitted ‘that mistakes have been made' by the current council in having failed to engage adequately with residents. The Labour candidates all distanced themselves from the current council and were clear that if elected they will not be supporting the Haringey Development Vehicle. 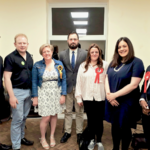 On behalf of the labour candidates Khaled Moyeed made a commitment to a new labour council setting up a Fairness Commission that will inform policy. He also stated that Jeremy Corbyn has committed the labour party to giving a right to vote to tenants where estates are proposed for change in ownership . In the light of the emphasis given by all the panel members on listening to those they seek to represent, it is ironic that neither the conservative nor the Lib Dem parties were able to provide candidates to listen to us tonight. 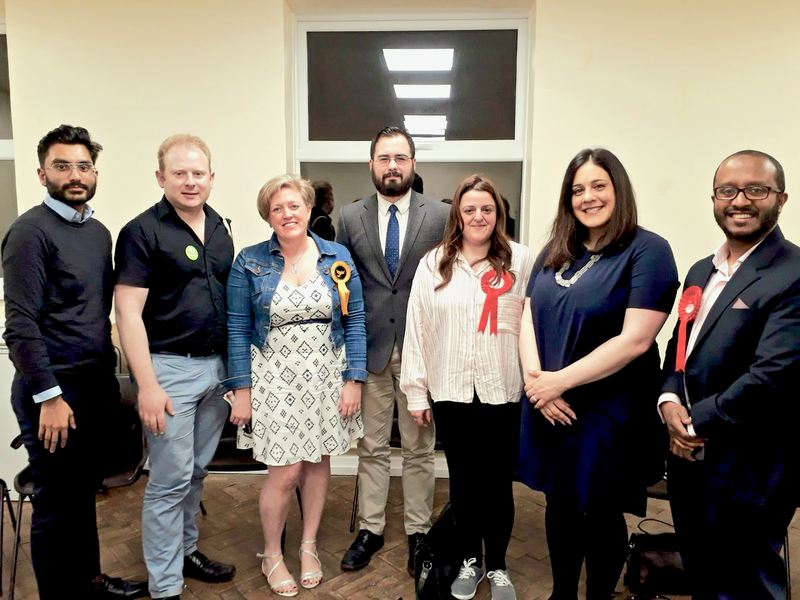 The candidates who were present all clearly noted the local issues that are important to those who live here, and they all expressed their intentions and views with vigour and enthusiasm. The panelists and chairperson were thanked for their contributions.